It’s unusual to use film nowadays. With the advantages of digital technology using film can seem pointless. That is unless process is the point. 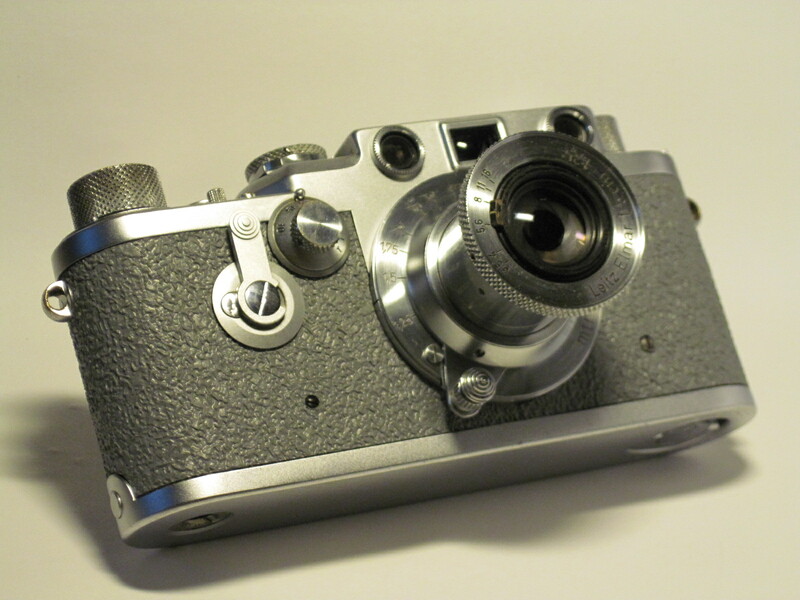 And if that is so, then why not go all in, with a rangefinder, even a bottom loading “Barnack” camera? Compared to contemporary digicam-o-matics there are a few hurdles, but once you are used to viewing through a peephole finder, focusing through another, trimming the leader, setting the film counter, mastering a cumbersome loading procedure and keeping your finger off a spinning shutter dial, it all falls into place. These nuisance factors aside, film not only has its own image characteristics but the process itself of using film holds its own reward. That process requires an investment of attention and respect for the medium that seems missing in the iPhone age. Not that something has to be difficult to be worthwhile, but can some things be just too easy? (for a great argument for the iPhone, see this). It is hard to escape the feeling, which has been noted since photography was invented, that the easier it is to take pictures the easier it is to make them bad. Of course the idea is to take more good pictures, and in this regard the older technology can encourage thoughtful engagement. I think. Old cameras are cool, with the look of precision, the heft of substance. They feel good to use because they respond in a satisfying tactile and audible way. Does anyone fondle a Canon SureShot? I think that if you like the way something feels when you use it, then you will use it and get better at using it, and the better you get, the more you will use it, etc. Remember the Kodak Instamatic? It was designed for folks who couldn’t be bothered going through this sort of trial just to get a film loaded. In the thirties the Barnack loading scheme must have looked pretty good to the plate camera crowd. 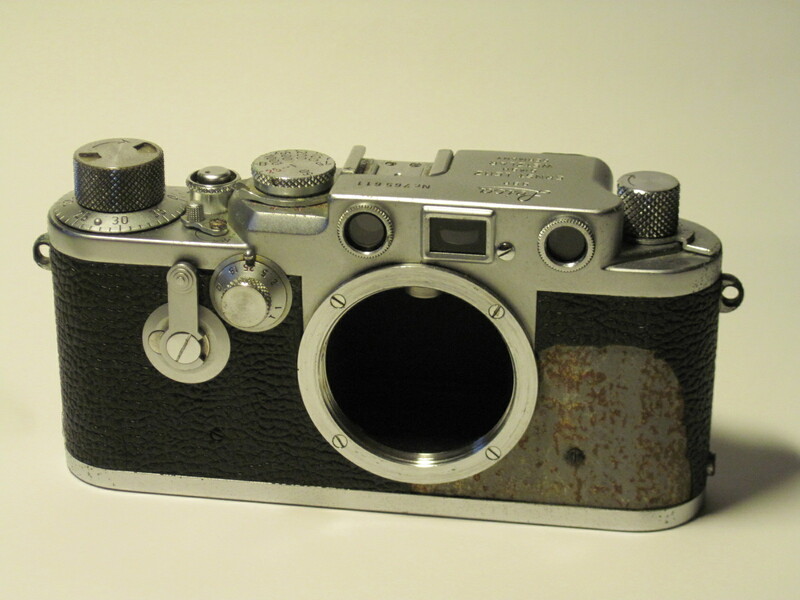 Even the M3 was a bottom loader albeit with a hinged back for easier access to the film. 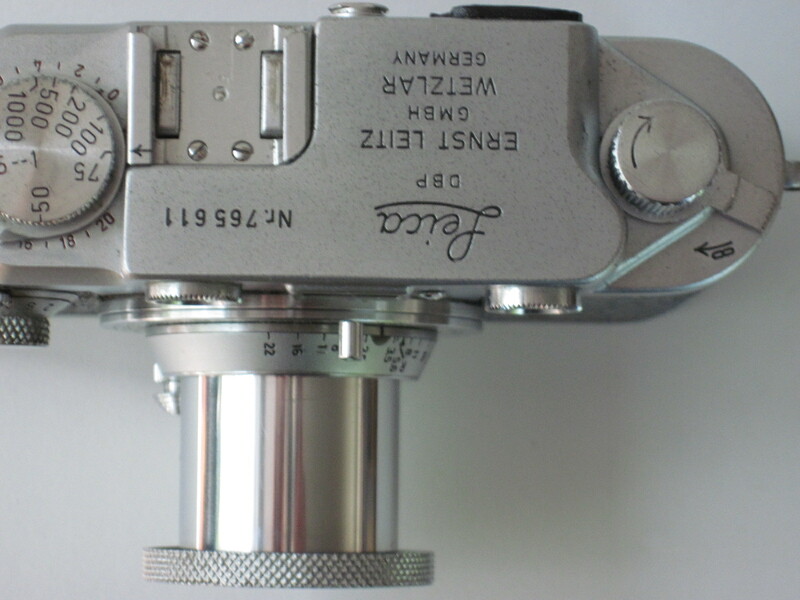 Not until the Leicaflex did Leitz think a conventional side hinge provided enough rigidity for the necessary film flatness. I am thinking these things because someone gave me a camera. My friend Chris, visiting from out of town and, knowing my interest in film photography, asked if I had a Leica and would I like one? He had meant to bring it and would send it when he returned home. A week later it came: a lllf, and– bonus! – it was the self timer model. It is the kind of camera I like to get, showing some dirt, a little history, accumulated effects of time passed, needing love, warmth, and a rubdown. How nice this, my favorite screw mount camera, the penultimate Leitz bottom loader. It is to my mind the most attractive of all Leicas and surpassed in sheer industrial beauty only by the Zeiss Contax lla, of the same time period. The Contax was more advanced, with a combined view- and rangefinder, removable back, and spectacular, as opposed to merely excellent lenses. My own experience with Leica could be said to have started with my first good camera, a Made-in-Occupied Japan Canon, with a very Elmar-like Serenar lens. It was 4 weeks of paper route earnings, $20 in 1961. I was 13 and my next big buy was a 13th edition Leica Manual, filled with sophisticated photo topics: document copy work, forensic and lab microscopy, sports photography, photo-journalism, medical and scientific documentation, lens formulations, and terms like Newton’s rings and circles of confusion. 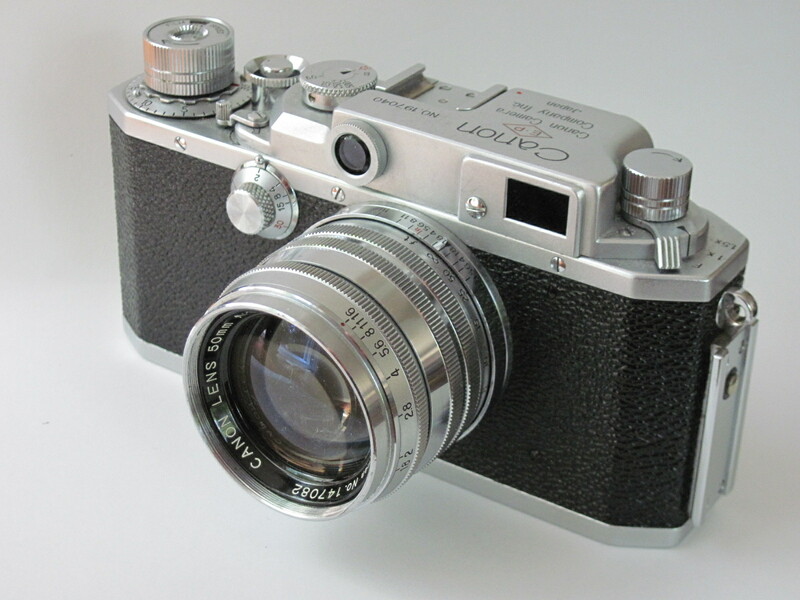 The manual was intimidating but churned a need for a lllf and a Summitar lens—the M3 was impossibly out of reach. Wanting to know what was inside the camera I took the Canon apart—regrettably easy to do—and had a paper bag of parts and no idea how to put them back together. Some time later the hard sought lllf and Summitar landed. Stack o’manuals, gift -cam and Nikon F. The F came along 3 years after the 3f in this picture was built. It represented a quantum leap in capability over the Leica. The camera Chris sent to me had belonged to his Dad, who, as I understand it, used it in his work, principally to take pictures for instruction guides that he wrote. 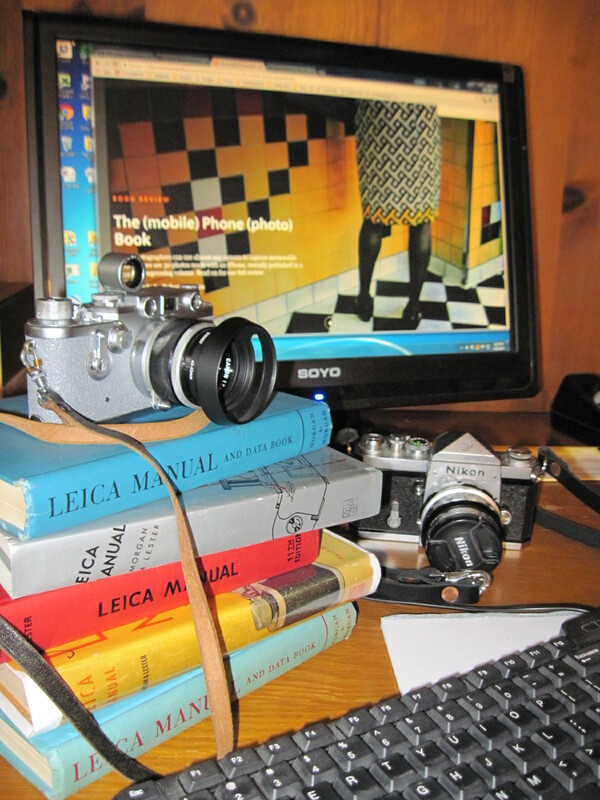 It had been long in disuse, which is death to a Leica. Chris has no real interest in photography, and—thank you, Chris–generously gave it to someone who would use and value it. I am grateful. Q-tips, mineral spirit, toothpicks, an hour or so and the job is done. The chrome was pitting in a few areas. It had, I believe, interacted with moisture and leather over time to build a residue of vertigris, but it came off more easily than I thought it would. A new skin from Cameraleathers.com replaced the failing vulcanite, and while a traditionalist (or would not be using Leica in the first place), I have a fondness for gray leather covering. Or, in this case, faux leather. The winding has a slight hitch, not bad but it isn’t quite right. The one second works well when limbered up, but characteristic of old timers, is stiff after sitting awhile. It will go to Youxin Ye for a tune-up. He is a short drive away and I like watching him work and he seems to enjoy the company. 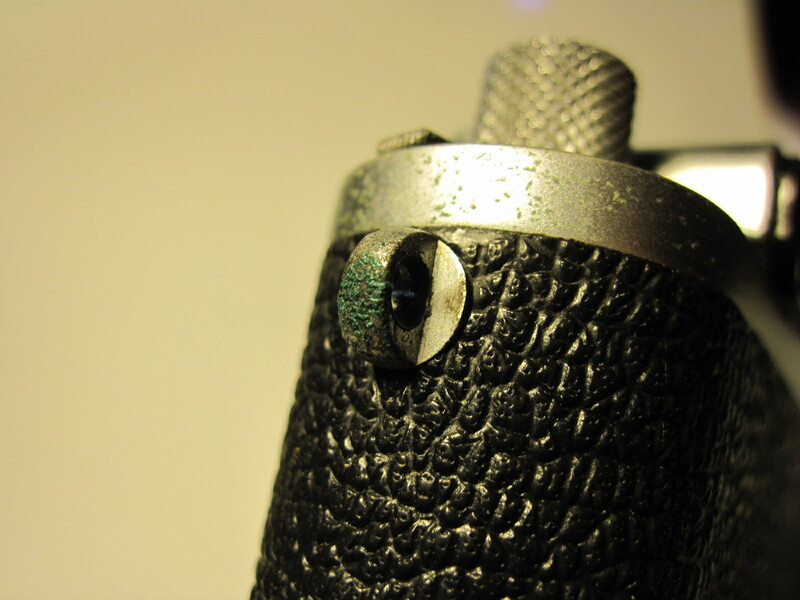 One useful item for these peephole rangefinders is a bright line finder and of course Leitz makes a nice one, the SBOOI. 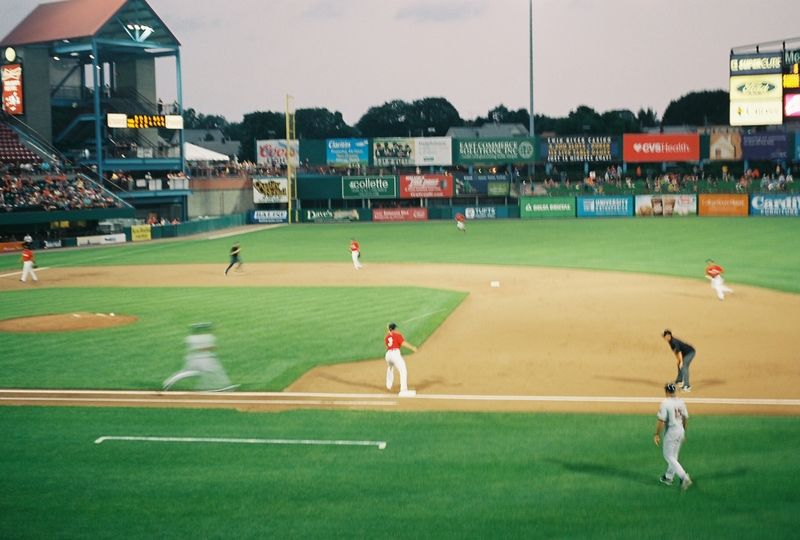 The 1/15th shutter speed works great. The photo above was taken with my new IIIf, the one below taken with a different lllf that I happened to have in my pocket. It was some affair where I would not ordinarily take a camera. It shows the usefulness of a small and handy camera that was the impetus for Max Barnack’s invention in the first place. I suppose we all have a small handy camera nearby, but this one uses film. I don’t say it’s better. Ron Himebaugh is a fellow bourbon drinker who has followed photography since he was twelve – “followed” meaning an equal interest in cameras, images, and the act of taking pictures. He has a “disturbingly large collection” of photo books rivaled by an even less healthy impulse to accumulate classic film cameras. You can find some of his work on Flickr, at Hank Carter, an ironic reference to Elliott Erwitt’s nickname for Cartier Bresson. This entry was posted in Film photography, Leica, Leica History, Leica III, Thread Mount Leica and tagged Ron Himbaugh on December 16, 2017 by Leicaphila. Seeing that shot of the Nikon F took me to the conclusion that cameras are sexual objects, in the sense that the Leica in grey is decidedly feminine in demeanour, whereas the maleness of the F is beyond question. Who says cameras have no soul? 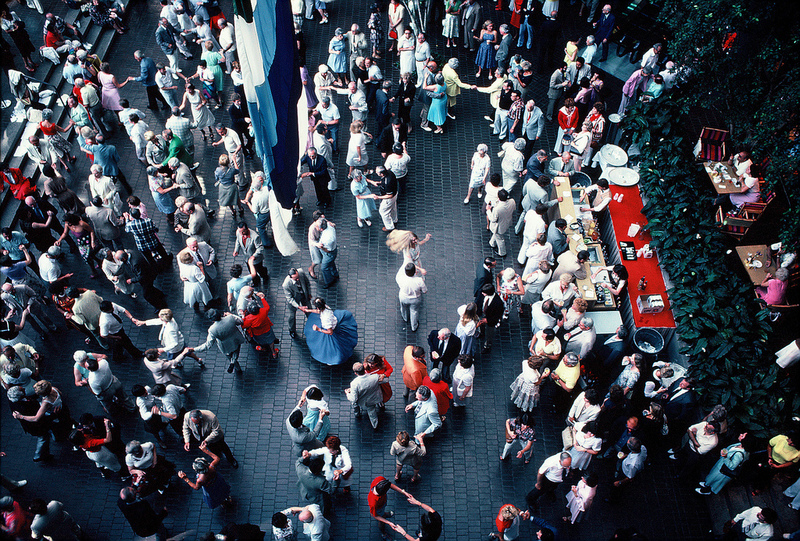 William Klein used one he bought from HC-B (why did he have to buy it – I had so much hope for brotherly love!) and from my conclusion about camera inclinations, that poor old machine must have led a torrid, distressing second life! A very nice friend- and nothing like shooting with a camera that you made right again. A friend gave me a IIIc in about the same condition, now it is surrounded by Five 1940s Nikkors and an MIOJ Nikon Finder. Needed a IIIc to fit in. He also gave me a IIIa- which is very easy to work on. 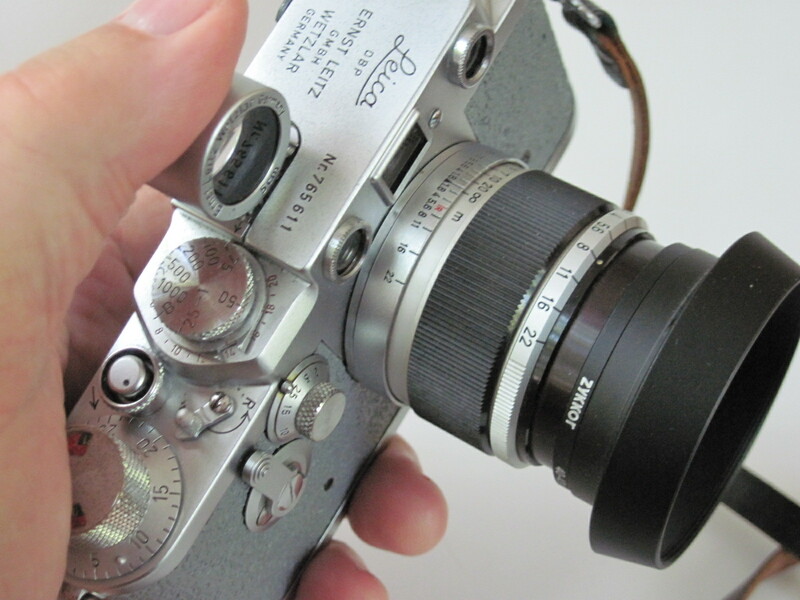 You know, looking again at the pix of that grey Leica confirms once more just how seductively designed that body is. It’s simply beautiful sculpture – if you can sensibly call anything built from parts and not cut out from a whole, sculpture.